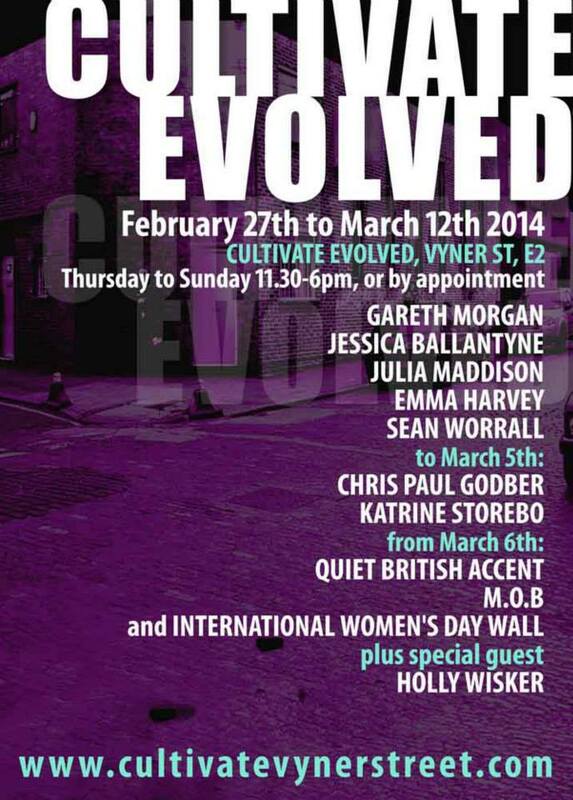 FIRST SATURDAY – The first Vyner Street First Saturday, an all day event on Saturday March 1st starting at 10am and going on until 11pm, with lots of galleries, art spaces, studios and cage in Vyner Street open and putting on events throughout the day. 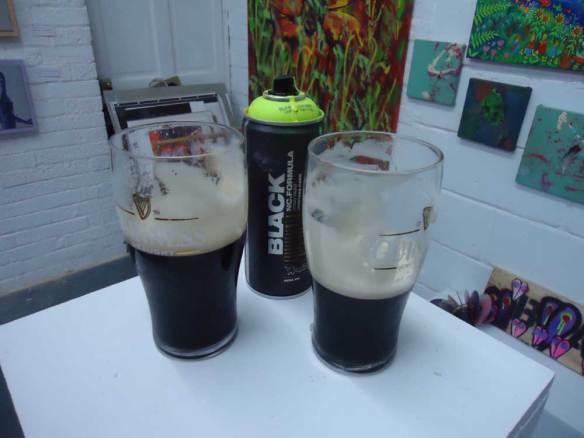 At CULTIVATE EVOLVED I shall be making paintings of pints of Guinness, they will cost you a pint of Guinness from the Victory pub, over the road… at some point I may paint a cheese roll or a bag of crisps. All my recent 2014 canvas pieces will be on sale for just £10 for the one day only, vinyl will also be vinyl being painted on all day. Cultivate is this evolved state is taking up as much time and ever, it really wasn’t supposed to be like that, and hopefully it will start to ease off a bit as Spring kicks in and schedules and guests are in place. The worst thing about running a space is dealing with the one or two artists that just seem to want to go out of their way to be awkwardly confrontational, this has not been my favourite week of the two and a bit years of Cultivate. Bring on First Saturday and some interaction, I like painting in the space, meeting people, talking, creating, I like the idea of an energetic creative space where people don’t feel they have to politely whisper… .